Chandeliers are a classy light fixture that is no longer just for the dining room. 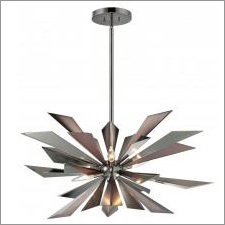 Nowadays, they can be the most versatile ceiling lights on the market. 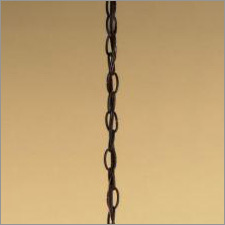 They provide excellent illumination and can be as elegant or as simple as you need. Chandeliers vary greatly in both size and theme, allowing you to choose the proper light fixture that best fits your needs. From three-light mini chandeliers to three-tier, multi-light pieces, chandeliers are arguably the perfect ceiling light for any of the rooms in your home or office. 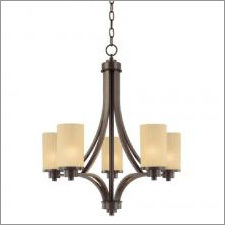 Whether you are searching for a dining room or bedroom chandelier, or you have a specific style in mind, lighting(one) of Cincinnati has the finest selection of chandelier fixtures that we’re sure will align with your desires. 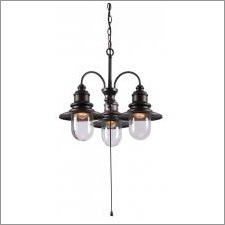 Feel free to browse our selection of lighting products online, or you can stop by our Cincinnati lighting showroom to view our chandeliers in-person and to talk to our team of experienced lighting consultants. We look forward to seeing you in our locally-owned lighting store soon! 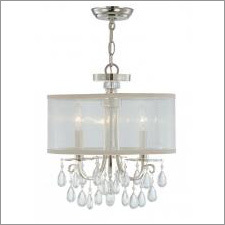 Whether you’re searching for a large, classic crystal chandelier for your foyer or you want small simple chandeliers to hang in your bathroom, we’re sure you’ll find something in our impressive selection at lighting(one) of Cincinnati. Our chandeliers vary in size, style, design and color, so we’re sure you’ll find something that fits your cup of tea in our amazing lighting showroom. 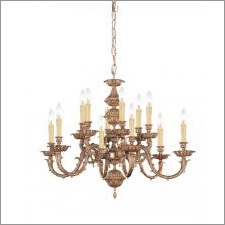 We also offer chandelier accessories for our customers, meaning you can get as customizable as you want when you purchase a chandelier from our lighting store in Cincinnati. Contact us today if you have any further questions for our lighting team! 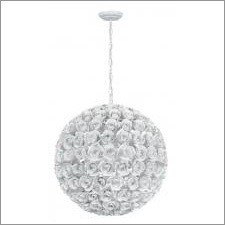 Pro tip: Not sure how to find a chandelier that will properly fit in your desired room of installation? 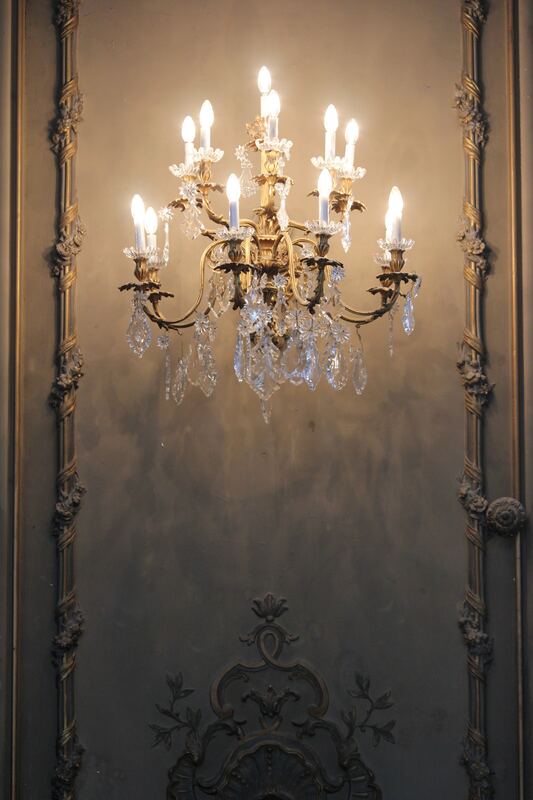 Simply measure the dimensions (length, width and height) of the room before committing to a specific chandelier. As a general rule of thumb, you should have at least four feet of distance from the chandelier to your walls in regards to width and length. When it comes to height, you want to account for about 3 inches of chandelier height for every foot of your room’s height. Also, remember to measure the space between any surfaces and your ceiling — you don’t want the chandelier you choose to hang too closely or too high above any of your desired tables. At lighting(one) of Cincinnati, we’re proud to be a trusted lighting showroom for our customers in Cincinnati and surrounding communities. With more than 4,000-square-feet of space in our lighting store, we can effectively carry hundreds of lighting products on display from some of the top, most nationally known brands. If you’re currently on the look-out for a new chandelier or another type of lighting solution for your home or office, don’t hesitate to reach out to our lighting team for assistance! We’ll be more than happy to connect you with lighting solutions that match your preferred style, and more importantly, your budget. Schedule a consultation with us today to get started. ©2017 Lighting One Cincinnati. Do Not Copy.